I feel very proud today. Proud of my self. I think people, including me, are so overly critical with themselves and their work in particular. So today I feel very proud of myself because I have reached a goal I set for myself and accomplished it beyond my expectations. This is Splinter. My best work yet. With Splinter I wanted to create great tension between very precise vertical and horizontal piecing as opposed to improvisational diagonal piecing. 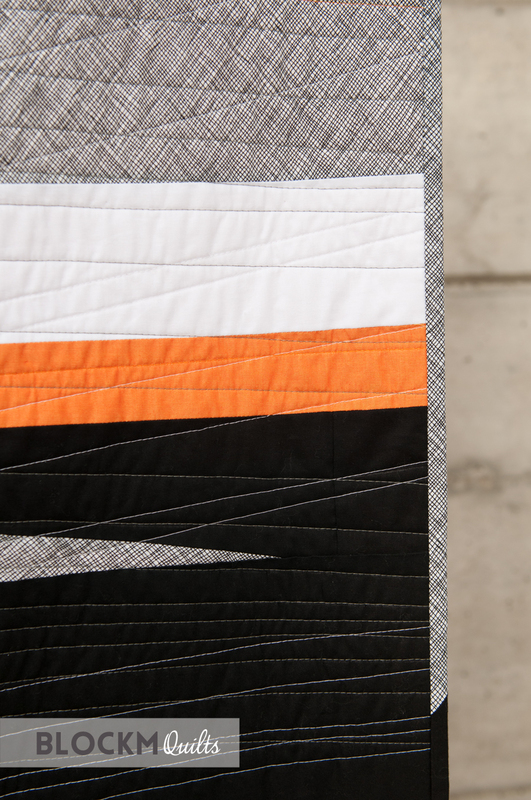 The improv pieced vertical off-centered 'splinter' is to divide the black and white fabric with what seems like great force. The name was quickly found. I revisited this design after I made a back of a triangle quilt with left over half-triangles in a similar arrangement. With 'Splinter' there was a lot of editing and careful arrangement of colour and shape placement to achieve a high visual impact of negative space with indistinct edges. I quilted straight lines with white Aurifil 50wt thread first, creating diagonal lines from top right to bottom left. I then added dark grey thread in the opposite direction. Seams of the same colour never overlap. With having the seams in random angles they create this beautiful secondary pattern of the 'improv spikes'. For the back I used a lot of orange solid fabric and arranged other left overs from the front in an interesting off-centered design. Even on the back the quilting looks so good! I recently bought a Juki QVP 2200 Mini. 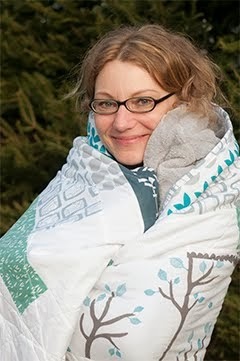 Before that I was never able to quilt like this. I could never adjust my presser foot pressure, I had severe fabric shiftings. 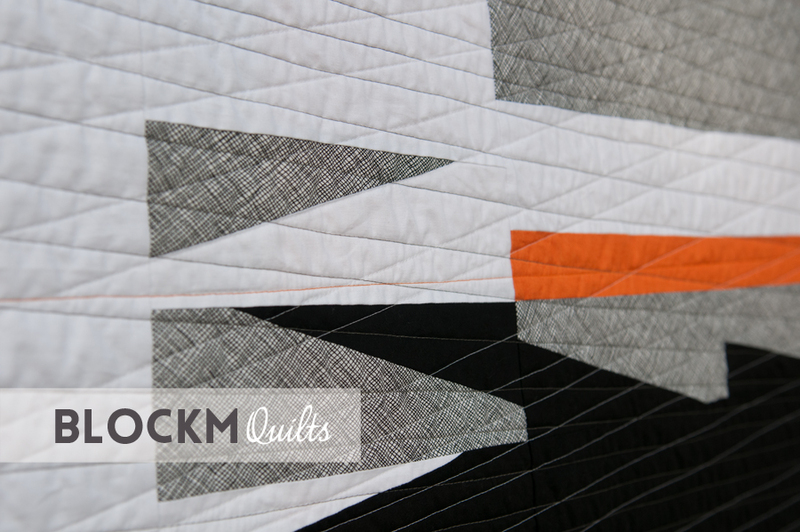 I could only dream of overlapping quilting seams like that. I did have some difficulties with the Juki though, it took me ages to get the thread tension right. But now I think the Juki and me are ok. I played with different coloured binding as well. 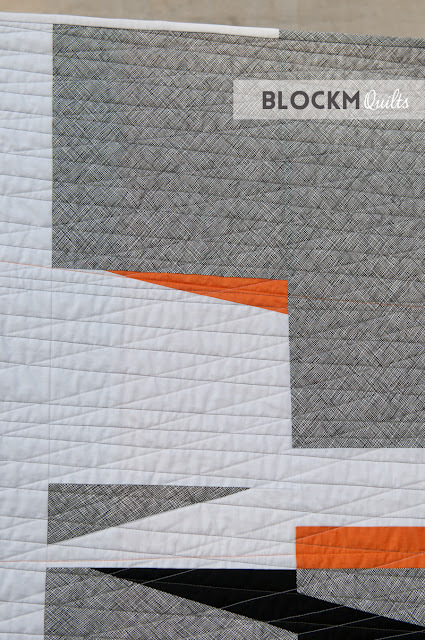 The design of the quilt is extending into the binding which I like a lot. There are exactly three seams of orange thread in Splinter, one going through every orange fabric of the quilt. I hand sewed the binding again and really love how this turned out. The reason I feel that this is my best work yet is that Splinter is definitely the quilt with the highest visual impact in terms of simplicity, overall design and quilting. The workman ship from start to finish is also the best to date. There is absolutely nothing I don't like or that could have been better. So I cherish that feeling and be a bit proud of myself. Something we all should do more and be more gentle with ourselves. I am entering Splinter into the 'Negative Space' category for QuiltCon 2018. Here is a link of how I actually made Splinter. I've been watching the progress of this on instagram. It turned out brilliantly! Splinter is just stunning! I'm SO pleased for you! 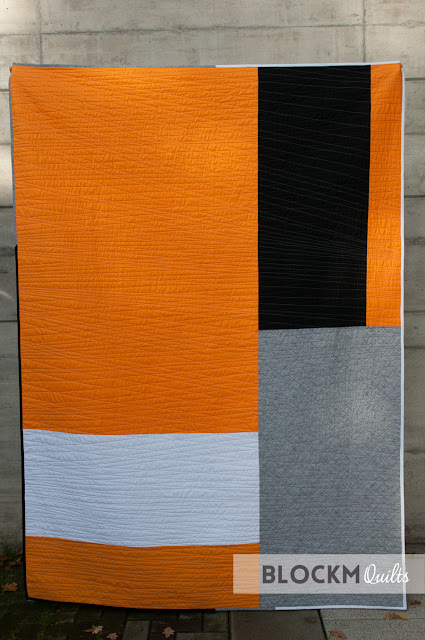 das ist ein großartiger Quilt geworden und ich freue mich sehr, dass Du ihn zur QuiltCon anmeldest. Ich drücke die Daumen, dass wir ihn dort bewundern können. Congrats, love the 'tense calm' of that quilt. Congrats on the finish! 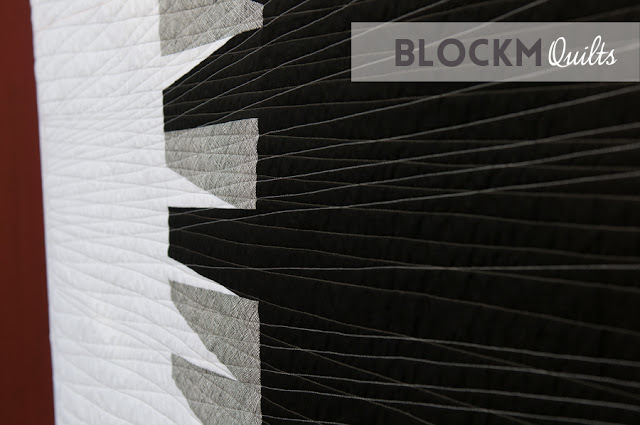 It is a beautiful and inspiring quilt and good luck with QuiltCon. Most excellent, Daniela! Your eye for color and design always shines! 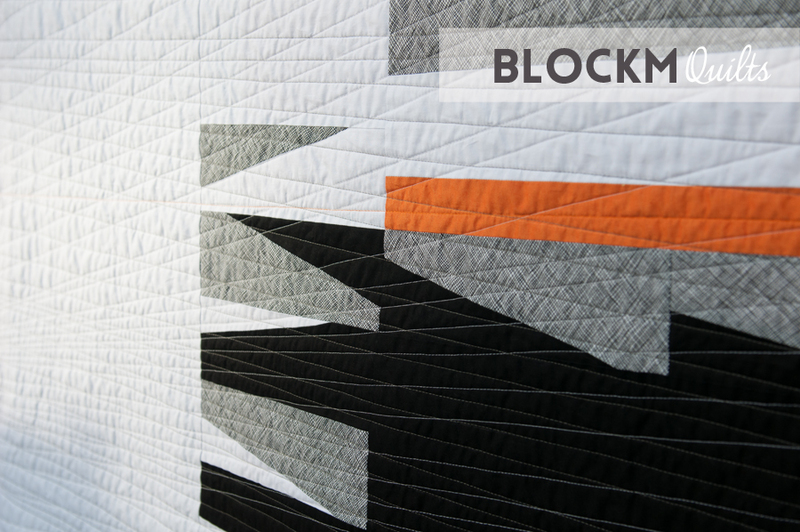 Fingers crossed this gets into QuiltCon....but either way, so happy for all the personal success with this one! Congrats! on completing your quilt in time for the Quilt Con entry deadline. Best of luck to you!! This is a stunning quilt! I really like the design, the colours, the quilting! Good luck with Quiltcon - I really hope Splinter makes it in! 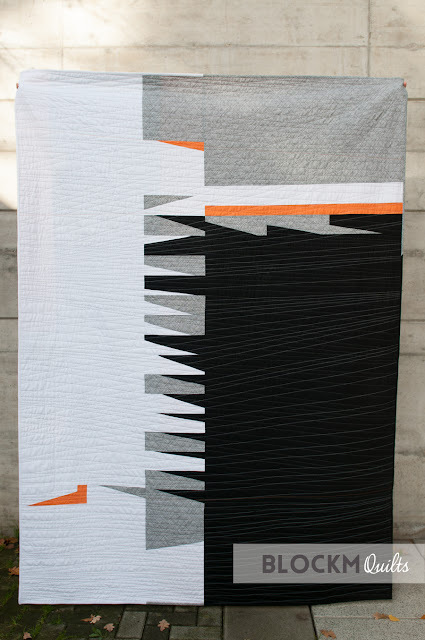 This is an absolutely stunning quilt. I hope it gets in to Quilt Con. Hi, I'm Daniela - Welcome to my blog! I'm a new quilter, rower, architect, wife and best friend. Having lived in Ireland for the past 6 years I have now returned to my home Germany where I started sewing quilts. 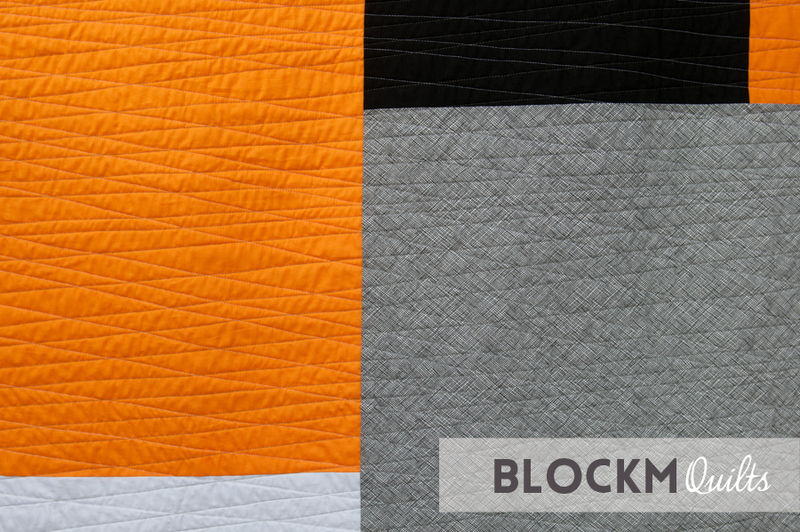 I am amazed by the quilting bloggers out there and decided to jump right in. Thanks for stopping by and hope to see you again! 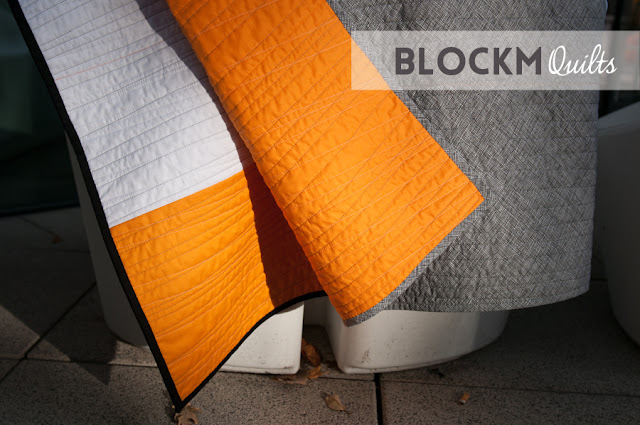 Block M Quilts. Simple theme. Powered by Blogger.